Netherrealm Studios has been announcing Mortal Kombat X characters left and right over the past few months. You may have missed a few of these reveals so here's a full list of every character revealed thus far. The list of characters is broken down into three sections: classic characters, new and DLC. Each character is accompanied by a brief description. In the case of the DLC fighters, the guide briefly mentions how you can acquire them as well. Ermac - Ermac is a ninja built from the lost souls of many Outworld warriors. This soul energy allows him to levitate and toss his opponent around the map. Jax - Major Jackson "Jax" Briggs is a Special Forces operative whose cybernetic arms enhance his considerable brute strength. 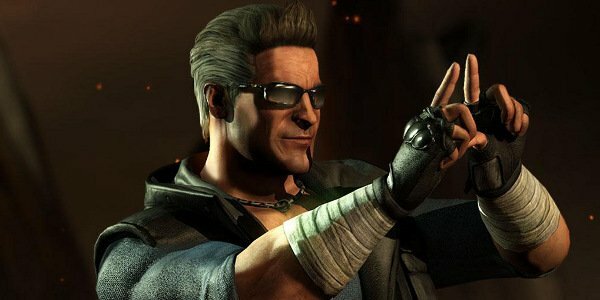 Johnny Cage - Cage is an action movie star well-versed in many fighting styles. He can empower many of his attacks with shadow energy. Kano - Kano, a shady arms dealer, uses many high-tech weapons to give him an edge in battle. Kenshi - Kenshi may be blind but his telekinetic skills and magic sword more than compensate for his handicap. Kitana - Princess Kitana uses her Steel Fans as a ranged and melee weapon in combat. Kung Lao - Kung Lao is a former Shaolin monk who supplements his martial arts with his razor-lined hat. Mileena - Mileena is a clone of Kitana created for Shao Khan. Her signature weapons are a pair of sais. Quan Chi - Quan Chi is one of the mightiest sorcerers in existence and can hypnotize or damage his opponents with his dark magic. Raiden - As the God of Thunder, Raiden can call on lightning and wind to achieve victory. 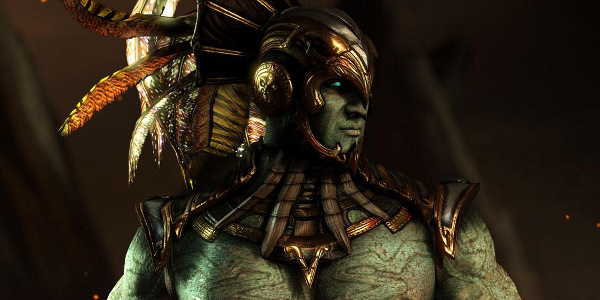 Reptile - This lizard-like ninja is unquestionably loyal to Kotal Kahn. Scorpion - Scorpion is an undead assassin brought back to life by Quan Chi's dark magic. Shinnok - Shinnok was once an Elder God. Mimicking other fighters' moves is one of his many abilities. Sonya Blade - Sonya doesn't have the supernatural abilities of many other fighters so she instead relies on hand-to-hand combat skills refined through years of Special Forces work. Sub-Zero - Sub-Zero is a warrior who can create ice and use it to deadly effect in battle. Liu Kang - Liu Kang is a former Shaolin monk who has been part of the Mortal Kombat series since the beginning. Cassie Cage - Cassie Cage, the daughter of Johnny Cage and Sonya Blade, followed her mom into Special Forces. She uses two pistols in combat along with a nightstick. D'Vorah - D'Vorah is an insect-like warrior who can summon wasps and other bugs and use them as weapons. Erron Black - Erron is a gunslinging mercenary from Earthrealm who now serves Kotal Kahn. Ferra & Torr - Ferra is a small, clawed creature that rides on the bank of the muscular beast Torr. Jacqui Briggs - Jacqui, like her father Jax, is a Special Forces member. She wears mechanical gauntlets to make her punches even more damaging than usual. Kotal Kahn - Kotal Kahn, a warrior with superhuman strength and mastery over blood magic, is fighting Mileena for control of Outworld. Kung Jin - This mysterious ally of Cassie and Jacqui can use a simple bow and arrow to deadly effect in battle. Takeda Takahashi - Takeda is the son of Kenshi and a pupil of Scorpion. He's skilled with both a whip and katana. Goro - This four-armed brute uses his extra limbs to easily grapple and pummel opponents. He's exclusively available for Mortal Kombat X pre-order customers at launch but might also be sold separately later on. 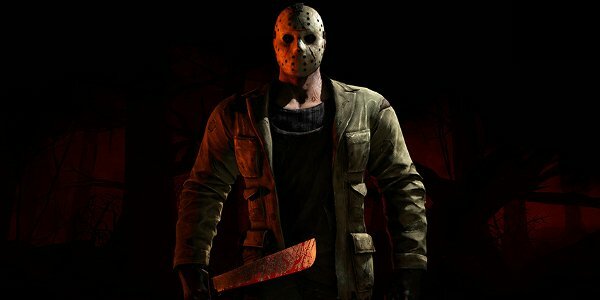 Jason Voorhees - Jason, the machete-wielding star of the Friday the 13th movies, is one of four characters included with MKX's Kombat Pack. Predator - Predator, an alien hunter armed with a cloaking device and futuristic weaponry, is the other cross-over fighter in the Kombat Pack. Tremor - Tremor is a ninja who can create earthquakes in battle. He's also part of the Kombat Pack. Tanya - Tanya first debuted in Mortal Kombat 4 and will appear in MKX as the fourth Kombat Pack character. She's an acrobatic warrior who enhances her blows with fire magic.